It is with great sadness that we announce the passing of our beloved mother, grandmother, and great grandmother on February 8, 2019, at the age of 80 years. Ruth is predeceased by her beloved husband Metro; parents Tom and Mary Rosky; brother Alex and sisters Lena and Nel. She leaves to mourn her son Mark (Diane); daughter Sandra (Vaughn) Atkins; grandsons CJ (Brittney), Brandur (Irene), Chase (Riley), Zach, Tyson and her special bundle of joy great granddaughter Bethanie, along with sisters Victoria and Isabel (Cliff). Ruth was a loving and caring mother and was happiest when she was surrounded by her family. She always made sure there was a big supper for any holiday celebrations or family events. 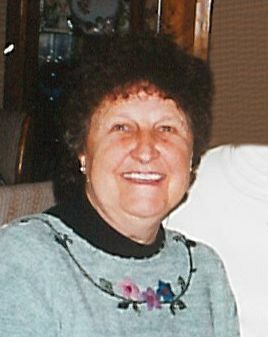 She was very close to her five grandsons, and travelled to all their sporting events, she was a big part of their lives. (Bobbi) as the boys called her was always there for them, and they could count on her whenever they needed someone to lean on, they all loved her very much. When great granddaughter Bethanie came along, she was overjoyed to finally have a girl amongst all her boys. Mom also enjoyed going on her casino road trips, talking on the phone with her friends, and sharing stories with her grandsons. She lived her life to the fullest after dad passed away, and was content and happy in her house. She will be dearly missed by all of us, rest in peace mom, love, your family. In keeping with her wishes, cremation has taken place and a private family service will be held at a later date. Special thanks to Selkirk Paramedic Service and Gilbart Funeral Home. Condolences, photos and videos may be left on her tribute wall at www.gilbartfuneralhome.com.